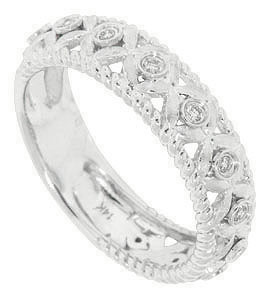 Forget-me-nots are bezel set with diamonds in this 14K white gold antique style wedding band. 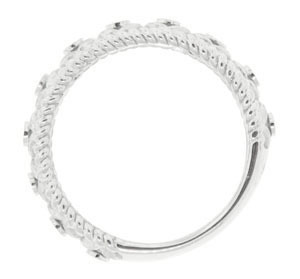 The wedding ring measures 5.52 mm in width. Size 6 1/2. Can be resized.